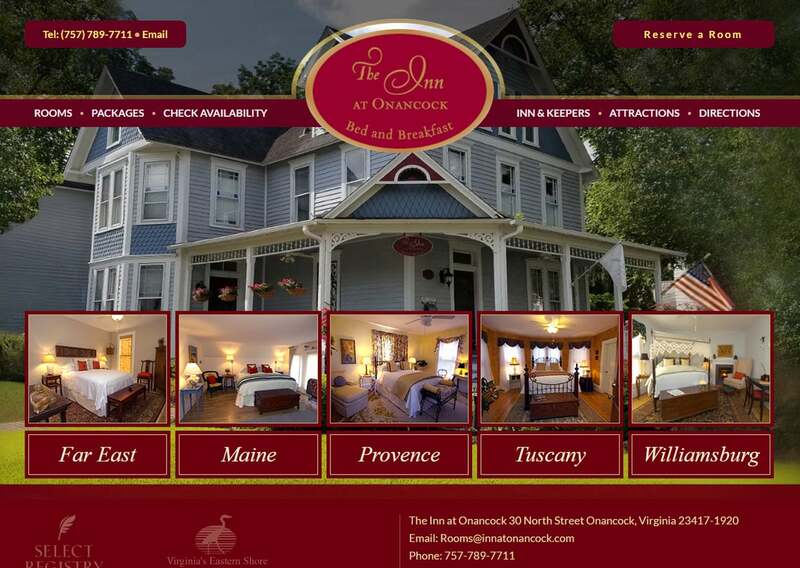 Website designers Onancock VA | This website client wanted a hospitality website presence that went beyond the typical online booking websites. VISIONEFX created a warm, inviting colorful, great website design for this vacation rental website. Its design is to visually reflect the fun, history and beauty of this Virginia travel destination. Users may submit requests for booking online and room inquiries. When searching Web design Onancock VA look no further than than the web design experts at VISIONEFX.